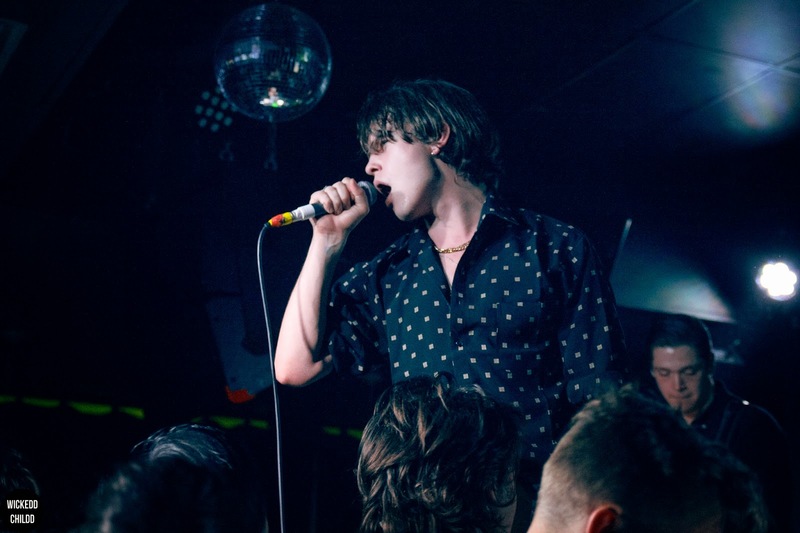 Melbourne's Ding Dong was a packed house on Friday night with Danish rockers Iceage preforming an attention raising show. They have been gaining an immense amount of respect for their rough musical spark that is invasive and filled with gruesome attitude, hence why they were brought for Sugar Mountain Festival and a string of headlining shows. Having dropped their latest album late last year Plowing Into The Field Of Love, Melbournian's were presented with a range of news songs that displayed their growing confidence. Elias Bender Rønnenfelt approached the crowd constantly while their performance with a twisted presence, bringing himself onto them, pulling them, pushing them away. He presented such an array of more aggression that the crowd went nuts for! The aggression was taken as encouragement and the crowd just got more amplified and wanted more! The noted set list in his right sided pocket was also very interesting to see. The paper was the size of a small notepad that he would pull out after each song to introduce the next with the song title. He then would slip back into his pocket then would compose himself and unleash the energy. Rønnenfelt was seen fist pounding his chest and it was impossible to look away. The crowd were imitating him with such passion. Other stand out tracks included crowd favourite 'Ecstacy' and 'Forever'. Overall the night as filled with a ruthless attitude presented from the lads attracting a reckless crowd of fans which made the night a punk-tastic time!